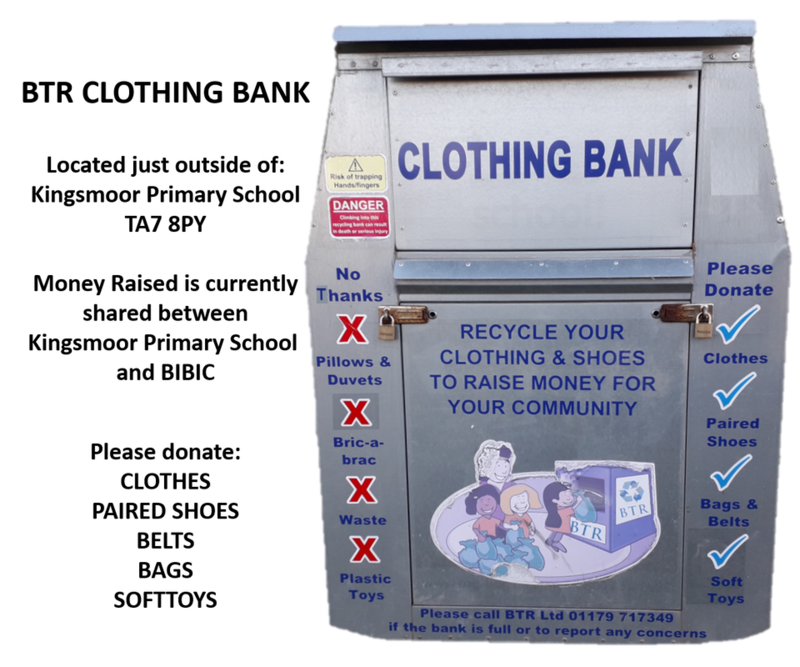 We are fortunate to have a Clothing Collection Bin just outside of the school gates. Profits made from the donations to this bin are divided between Kingsmoor School and BIBIC. Ensure all donations are dry and clean. Do not deposit Pillows/Duvets/Bric-a-Brac/Plastic Toys or other waste. This money is used purely for the benefit of the children and is much appreciated.